Krones AG has improved its NitroHotfill process developed in 2009, which can now achieves filling temperatures of up to 90°C, a particularly relevant criterion for Asian countries, according to the company. At the Contiform 3 stretch blow molding machine, Krones says station outputs of up to 2,250 bottles per cavity are achieved, essentially a new speed record. 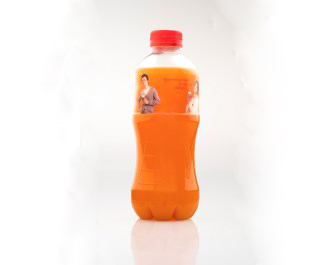 The bottles’ base design has also been substantially redeveloped. in addition to the bases already successfully in use, which permit light container weights of just 15.5g for 500ml bottles, for example, there are now flatter, design-optimized bases available, thereby improving the visual appearance of the bottles. In addition, the new NitroHotfill process requires up to 40% less energy compared to conventional hotfill processes, according to the company. It offers high potential for weight reduction, enhanced scope for creative design, with panel-free sidewalls and new, flatter bases.